When we accept that we are all unified, and we know this from personal experience, the veil lifts and we perceive everything just as it is, unfolding on purpose. Then we have discovered our purpose for ‘being here now in this’. This purpose is to love and appreciate what we already are—without conditions. Unity is not some abstract ideal toward which we merely aim ourselves. Unity is something we can live moment-to-moment as a palpable, living and breathing experience of the shared presence of beingness of which all humanity, all life and even all of what we deem ‘not living’ (such as matter) exists within and is. The defining ethos of our times is a growing, relentless experience and subsequent embodiment of this ultimate sense of interdependent reality. The proof is clear for all to witness in the flux and flows of the global stage of events and in the intense nuances of awakening infusing our daily lives with perpetual epiphanies. All that is resisting evolving to a higher state of unity is facing growing evolutionary tension and though the boon of unity appears rewarding, the adventure to get there can be trying. It is not an easy journey to foster this essential unity that even science now tells us is reality’s foundation. The great mystics have eternally beckoned us within to find it; to pull it out of the shining citadels of our Hearts where It pulses with original and constant emergence. And yet, it has never been easy and why would we want it to be? What joys of heroism and actualization are there when there’s no quest to fulfill, no challenges to overcome, no merit to gain, no fear to be transmuted to courage? This is what our love is––a sacred pattern of unbroken unity sewn flawlessly invisible inside all other images, thoughts, smells, and sounds. When one becomes a true creator and agent of generating unity consciousness, adversities become joyous—joyous opportunities to employ our spiritual skills to transcend diviseness, whether inner or inter-personal. We may not be ending the war in the Middle East but creating dynamic peace in the face of conflict in our lives is no less momentous in the playing field of unity consciousness for we are all connected to a greater whole--our actions instantly pour into the infinite web of existence. With every victory of unity over separativity, our own node of consciousness (which we represent) shines brighter, producing more radiant levity, inspiring others around us, even just by our presence alone, which becomes an alchemical vortex for transforming division into cohesion, everywhere we go. Unity to be real must stand the severest strain without breaking. The spirit of unity consciousness is reaching new heights this Spring, emboldened by powerful astrological alignments that have usher us through the gateway of the equinox like a passing over a turbo-boost in a video game. Spring offers us the mysterious ecstasy of resurrection from the holy dark death of Winter and it can be one of the most powerful seasonal transitions for that reason. It asserts one of the great eternal mysteries of the universe: death leads to rebirth, endlessly, ceaselessly. There’s an indomitable joy that wakes in all souls during this time of the Vernal Equinox because we, consciously or unconsciously, are aware that death is not something to fear in actuality—it’s a portal of transformation. The Vernal Equinox is a node of almighty hope; an anthem of rebellious life-force that, in the face of death, asks rather for a dance and busts moves over the howling abyss. When all seems lost, the deepest truths are found. With that first spring into growth from stasis, intention becomes supremely key. What do we intend with our first steps into new life this year? It’s no wonder many ancient cultures regarded Spring as truly the authentic new year, entraining to the gospel of nature. As seeds were planted to bear nourishment from the soil, we are mutually beckoned to plant seeds of vision in the dream gardens of our shining psyches. And I believe it’s time we all began to intend together, collectively, in unity, to step into the birthright of divinity Jesus was inspiring us toward. It’s time we all realize, embody and share our exuberant, limit-breaking, adversity-transcending, unstoppable powers of creating unity, harmony, peace and soulful revelry to turn doomsday into the greatest opportunity to witness our own glory. It’s time we all anoint and honour ourselves as truly capable of the great acts of the great souls for we too are greatness and our times tremble with troubling truths which we can and must rectify. There is great turmoil in our world at present because of this awakening of the true power of Love, which is the frequency of unity. Wherever division lies, there will be great stress and tension, because the illusory walls serve no purpose and really never have. 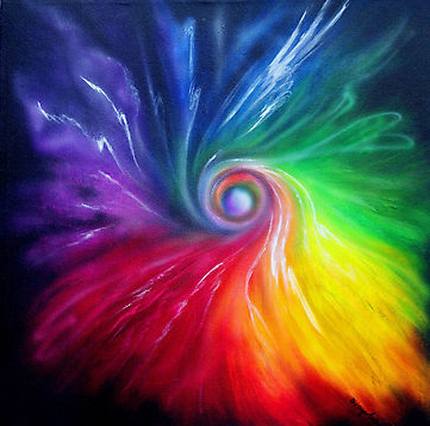 Love counsels us to be skillful unifiers, for it is not as easy as shooting visualizations of rainbows at what resists unity or shouting with all of our might the tantra of this truth. Love counsels propriety, the virtue of the Heart in Chinese Medicine: knowing the right moment to act and how to act. It can take time to extend Love to fragmented parts of our psyche and yet that simply emboldens the adventure, ennobling our skills of communication, patience, compassion and knowing-via-feeling-perception how to coax alienated aspects of self and world to give up the ghost of separation and join the jubilance of unity. There will be push-back and violent aggression even toward unification. We must recall how long and old some of these separation holdings are. But each resistance is another opportunity to exude the resilience and cunning of our Love to tickle fear into fits of laugher, melt armour by care-full affections, persuade warring legions toward the playfulness of peace by exuding the beauty of unity ourselves, becoming an undeniable aphrodisia to seduce soldiers into soul. You are Gods/Goddesses—not titans who live and tinker the cosmos on cloudy heights, but living-breathing Creators of whatever we desire here and now in this infinite wow. Let us choose to create unity, daily, and join a cosmic choice and realize we are supported by the robust, infinite harmonies of the universe itself! Our lives explode with blinding purpose. And we aren’t just thinking about it or doing it—we’re being It. I am Unity. Say it. Believe it. Be it. May we live each day carrying forth this captivating and lusciously charismatic frequency, enticing friends, strangers and lovers alike into orbit of the heaven of our Heart. Walking galaxy makers we are, inspiring all things, vile and virtuous, to find inspiring and purposeful position in this great triumph of waking life; to coalesce in the aim of cooperative beauty and indomitable support as each star supports and sings the life of the galactic symphony. Yes, this Spring, we be growing the LIGHT! I offer you peace. I offer you love. I offer you friendship. I see your beauty. I hear your need. I feel your feelings. My wisdom flows from the Highest Source. I salute that Source in you. Let us work together for unity and love.